Continuing to run through the many 007 movies, 2016 Rittenhouse James Bond Archives Spectre Edition takes a multi-film approach to the James Bond franchise with a primary focus on SPECTRE. Each box includes two autographs. Starring Daniel Craig as Bond, SPECTRE receives ample coverage in a scene-by-scene breakdown of the entire film. 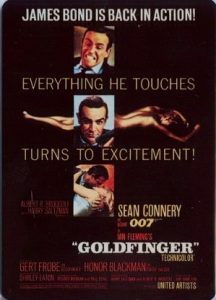 A total of 130 movie photos are used in the production of the base set. 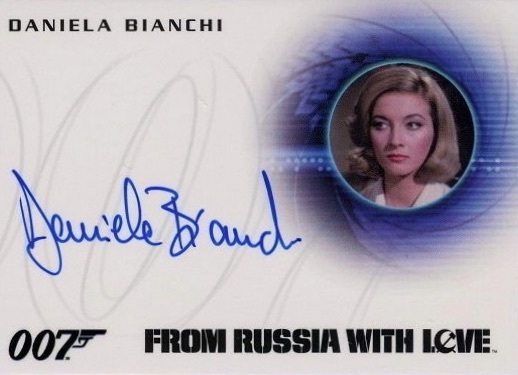 Bonus throwback sets look back at several additional points in the storied franchise, including sets for Diamonds are Forever (Sean Connery), Moonraker (Roger Moore) and The Living Daylights (Timothy Dalton). 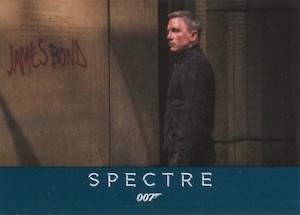 The sets for SPECTRE and The Living Daylights also feature Gold parallels that each average one per box. 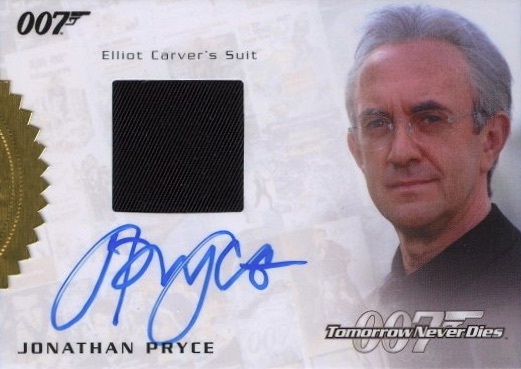 2016 Rittenhouse James Bond Archives Spectre Edition promises a strong Autograph checklist, with early names such as Dave Bautista, Jane Seymour, Roger Moore, and Teri Hatcher. The full checklist of signers will be revealed before the product releases. 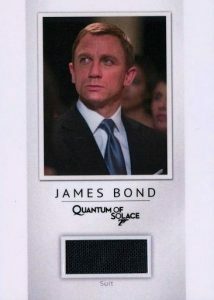 Like most Rittenhouse releases, collectors can also obtain several exclusives with case purchases of 2016 Rittenhouse James Bond Archives Spectre Edition. These are detailed below. 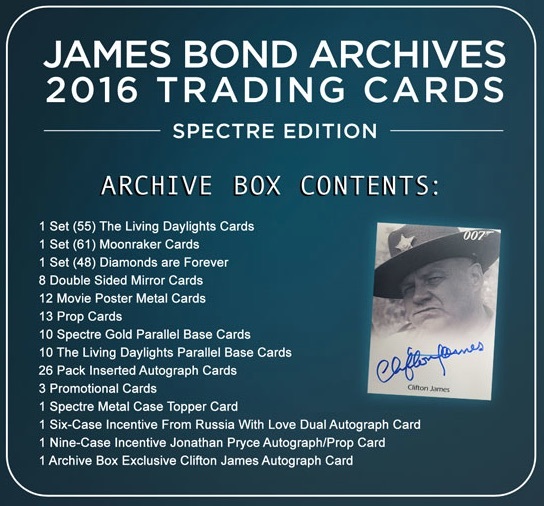 The SRP for 2016 Rittenhouse James Bond Archives Spectre boxes is $84 and SPECTRE factory base sets can be had for $24.99. 76 cards. Shop from complete base sets. PARALLEL CARDS: Gold #’d - 1:24 packs. Print Runs: Very Limited (VL) = 200-300 copies, Limited (L) = 300-500 copies. 12 cards. 1:144 packs. Serial numbered #/100. Hello, did you have the card with Dave Bautista? 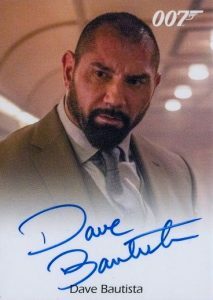 Maria � The Dave Bautista autograph is planned for this set that is scheduled to be released in November.